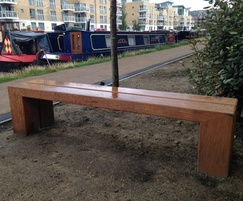 A range of bespoke high-quality hardwood street furniture was provided by Woodscape for the Brentford Lock waterside regeneration masterplan in Greater London. Brentford Lock was transformed as part of the Waterside Regeneration Scheme by The Canal and River Trust, whose main aim is to make enhancements to UK waterways. The project was completed with a collaborative design team, consisting of Tovatt Architects + Planners and Master Planner, Klas Tham and Camlins Landscape Architects. 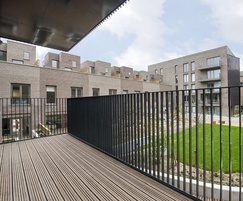 500 new residential developments where built on the banks of the Grand Union Canal in Brentford in this huge regeneration project, laid out over a six hectare site. The Trust and Architects wanted to create the sense of a sustainable neighbourhood within the public spaces of the new waterside destination. 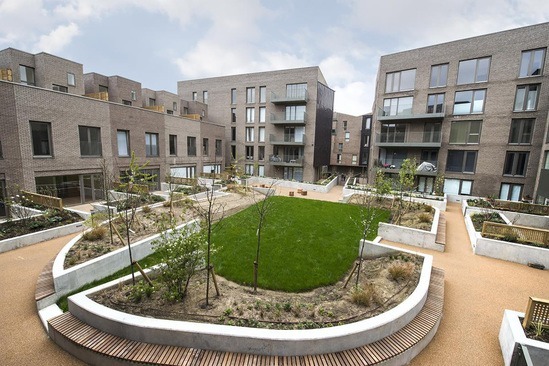 The development was also designed to maximise the historic water frontage and provide generous outdoor spaces and living accommodation in order to create a thriving waterside community, which now encompasses residential, commercial and leisure spaces. 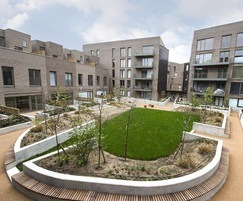 The appointment of a Swedish and a UK urban design practice resulted in a scheme that interprets a Swedish courtyard-housing model in a UK context. 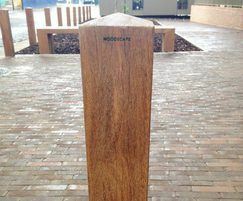 Woodscape designed and manufactured a range of high-quality hardwood bespoke street furniture to help facilitate the quality outdoor spaces and contribute towards the creation of an inviting urban environment. 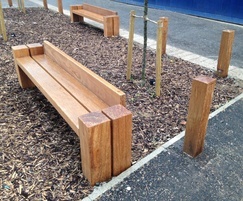 A range of large bespoke planters and seating was designed in Naturally Very Durable Hardwood. The feature central planter design breaks up the large public space, creating areas of greenery which soften the urban environment and provide a place for residents and visitors to sit and enjoy the landscaping. 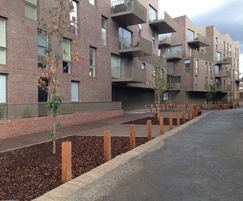 To maintain cleanliness and the quality of the environment, Woodscape also provided numerous hardwood round litter bins throughout the new development. The waste bin design includes front opening lockable doors, galvanised mild steel solid liners, stainless steel hinges and internal fixings. An upgraded and widened tow-path along the canal, created connections through to the large public space within the development. Woodscape maximised this new space and its potential by providing a number of built-in Type 5 seats and Type 6 benches to enable people to make the most of the canal walkways and enjoy the beautiful waterside setting and the boats passing by. 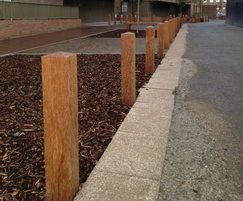 Woodscape also provided a large quantity of hardwood square bollards, some removable, throughout the whole site. 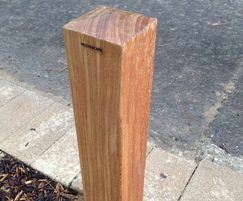 The removable bollards have stainless steel sockets with padlock security. Bespoke modern hardwood street furniture in the form of stylish lounge-style chairs and Cube seating were also supplied later to add interest.